At the beginning of September, we hosted our first Ossie Ward ODE, in previous years it was always in the format of a traditional country horse-show, but over recent times the club found that entries were dwindling and we felt that we needed to come up with a different type of competition, to keep Ossie’s memory alive, so chose the one day event format, but with a twist, Pick ‘n Mix – with fingers crossed ! We were not disappointed with the level of entries made, riders could choose what dressage test and the height of SJ / XC courses they rode and no-one could be eliminated, you simply just acquired more penalty points. The highest placed Club members were duly awarded the Ossie Ward trophy, Scarlett Warhurst (junior ) and Kate Rayner ( senior). The new style Ossie Ward show proved to be the way forwards, from both rider & certainly from the club’s perspective, since all riders were required to pre-enter and thus the effort put in by all to set-up & run the event was worthwhile, so hopefully, onwards and upwards for 2019. 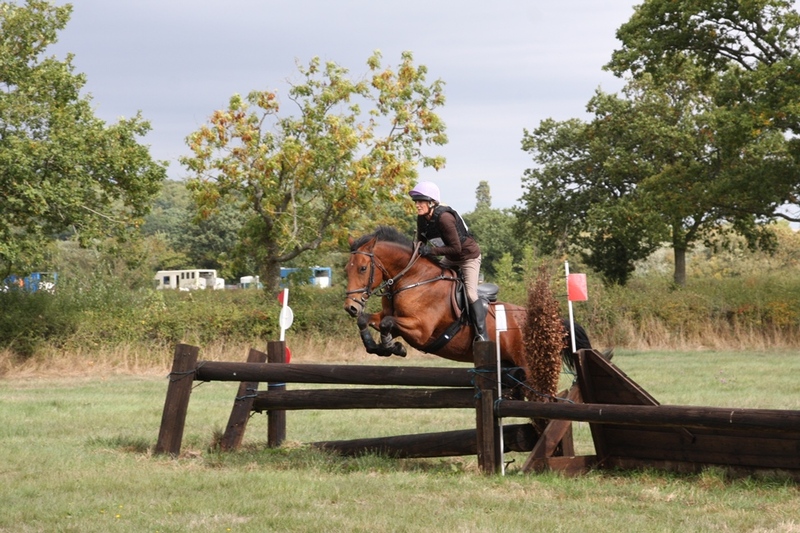 A few weeks down the line, we held the first of our Autumn Hunter Trials, on 16th Sept, a mini – course of 2’3” and the larger main course 2’ 6”, over several fields, all fences up to height, but all very inviting and especially good for “green“ horses or nervous/less confident jockeys. 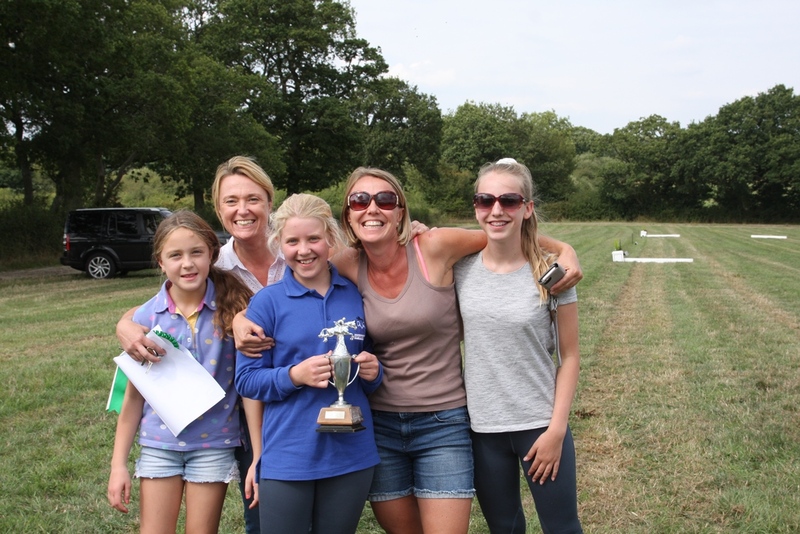 We again welcomed new faces to this event, one competitor having travelled up from Somerset, with heavy skies at the outset, the competition finished in bright sunshine and Simon Kearsley (our club photo guru) took some terrific shots of the riders, which can be viewed on our website gallery <Click Here>. 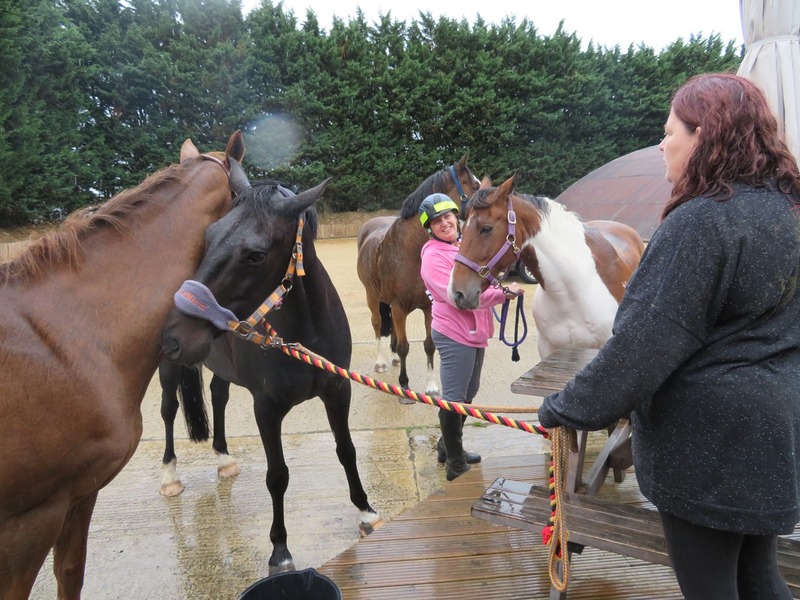 It was great to see little ones, who were anxious about the mini-course having walked it, to then bounce back to tell you that they had loved the experience, even though their pony may have stopped once or twice on the course, but who cares, they finished. We also had, that day, a visit from our local radio station, BBC Wiltshire, who were holding a radio treasure hunt program around the Minety area, so they called in to stop and chat to us, as one of our helpers was the second “clue-keeper”, they had to read the clue on air for the listeners to solve, and then we were able to chat a little about our club, who we are and what we do etc. A new adventure for us, orienteering on horse-back, or otherwise known as the Members Pleasure Ride, from Bibury, took place on 22nd Sept. Initially for members only, we did open it out to non-members just a few days before, so as to encourage extra riders, so a total of ten ( 6 were members ) took part on the day, sadly others had to withdraw before-hand or did not show on the day itself, the weather wasn’t especially inviting, always the way ! One of the committee members, Angie, secured safe and secure parking at her workplace, north of Bibury, thanks must go to the Classic Car Hub, for their generosity in letting us use their facilities. Angie and I did a recce of the route, quiet lanes, byways and bridleways, in July, on bikes, jotting down notes as we went and Angie re-walked the route just 3 days before the big day, to make sure our directions were up to speed. The route was not stewarded but instead riders were given a map, marking out the route, along with written instructions, with mini-pics alongside each directive, thus “orienteering “came to mind. We counted them out and counted them all back in – only one blip, where unusually some cattle were moved into a field not normally used for grazing, necessitating the gate being closed, a rider called in the issue, and off went Angie to solve the problem and short-term became the gate -keeper ! At the finish, horses were settled, and riders then enjoyed hot drinks, as by then the rain was quite heavy, and CAKES, at no extra charge! The club has received such a positive response that we would hope to run this again next year, possibly over the same 7mile route, but perhaps change the date. 13th Oct – first ever Riding Dressage Test clinic, Ravensbrook, with Jo Lees, currently only one place left, book now to avoid disappointment. 20th Oct – Polework & SJ Clinic – with Katie Withers, booking out fast. 17th Nov – final Polework & SJ clinic for 2018, with Katie Withers. I put a bet on a horse that had excellent breeding. Only trouble was, after the horse left the starting gate, he stopped and closed it behind him ! This entry was posted in Uncategorized on September 23, 2018 by Simon Kearsley.